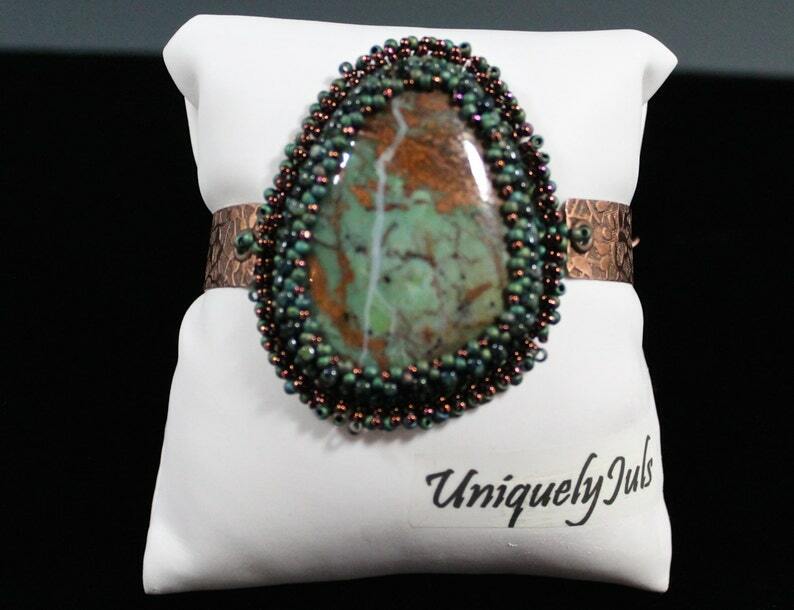 A Green Opal gem stone measuring 50 X 35mm has been beauifully captured in Jet Picasso, Aqua, and Copper seed beads in a peyote stitch and backed in Ultra Suede for comfort. The gem stone is securely attached to beautiful hand stamped copper components made by Melinda Orr Designs. The total circumfrance is 7 1/2" and I recommend that it be worn snug against the wrist to support and protect the gem stone.